As I think about last night’s vice presidential debate, part of me wonders if Biden’s goal wasn’t so much to win the debate but if it was to “not lose.” I think it’s tough to say who a clear winner was. I know many think that Biden dominated. But how? 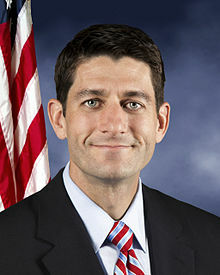 On what points did he articulate a better vision for America and actually talk Ryan down? Just because Biden kept interrupting and laughing at Ryan’s points doesn’t mean the vice president won. Simply saying someone is wrong and not elaborating on WHY they’re wrong isn’t winning either. You have to actually have a point. And at times, Biden was deficient. Those were clearly tactics that Biden was planning on using going into the debate. If you’re on the left, you might have loved it. For anyone else, I don’t think it was endearing and that it made Biden look like a condescending jerk. If you’re on the left, you were already going to vote for Obama/Biden. Try to put yourself in the mindset of someone who’s undecided. Who won? 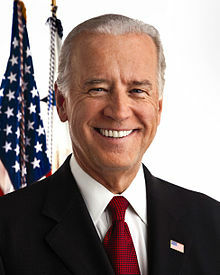 Maybe you still say Biden, but again, I ask, based on what? If winning debates was based off of who could exercise the most outrageous tactics, then yes, I would agree that Biden won. But I feel that Ryan did a better job of articulating why the first Obama term has failed and why he and Romney would be an improvement. I felt that Biden said very little about the next four years, and tried to defend the first term. I think that trying to run on the idea that they’ve been successful is a stretch. I felt that Ryan was composed and collected, even with Biden’s interruptions. Is it possible that the reason why Biden used such unorthodox tactics was because he didn’t want to actually get into a debate with Ryan? For starters, what does Biden have to run on? There’s no record to celebrate, the economy is in the tank, “change you can believe in” never happened. Maybe they wanted Biden to play it safe and merely pander to his base instead of running the risk of repeating last week’s debacle, and doing more damage to a campaign which is losing ground, especially considering that Biden has been a constant source of embarrassment to the Obama Administration. For Biden’s antics, I was very disappointed in Martha Raddatz, the debate moderator. She needed to put him in his place from the beginning, and she failed to do that. She allowed Biden to make a mockery of the debate. Maybe you disagree with me. But if Biden was going to be so strong in this debate, why did he have to resort to such tactics? I feel like he wanted it to be more of a sideshow and less of a debate. You have to know that this was his strategy going in. It’s not that Biden was genuinely so struck by what Ryan was saying that he literally couldn’t control his reactions to the “absudrdity” of the congressman’s claims. Ultimately, I don’t think that a person should base his or her vote for president off of a debate. And I ESPECIALLY don’t think that a person should base his vote for president off of a vice presidential debate and that Obama will again be dominated by Romney next Tuesday.